Successfully Added HK Warehouse Blackview BV6000S IP68 Smartphone - Android 6.0, IP68, 4G, 4.7 Inch Gorilla Glass, 4200mAh (Green) to your Shopping Cart. Don’t miss the chance to get the Blackview BV6000S before others. The rugged phone comes with Android 6.0 OS, 4.7 inch screen with Gorilla Glass protection, 4G connectivity and a large 4200mAh battery. Enjoy all the functionality of the Blackview BV6000S, a rugged phone that combines modern features with a tough exterior, that lets you take it anywhere and use freely — no fuss. The phone comes with Android 6.0 interface and with it you will get an improved app drawer, quick setting and better UI. With 4G connectivity on two SIM cards, you will always be in touch. You can also keep two different phone numbers and mobile accounts on the same device. Another great thing about the BV6000S is that it is IP68 waterproof. And that means that it is completely dust tight and can go beyond 1 meter underwater. The 4.7 inch screen comes with Gorilla Glass protection and is more resistant to scratches and other types of damage. The large 4200mAh battery is another point for the BlackviewBV6000S. It offers up to 14 hours of continuous talk time and 8 hours on standby. The rugged phone also sports OTG (over the air software updates) and NFC — a very useful feature for quick data transfers and mobile payments. 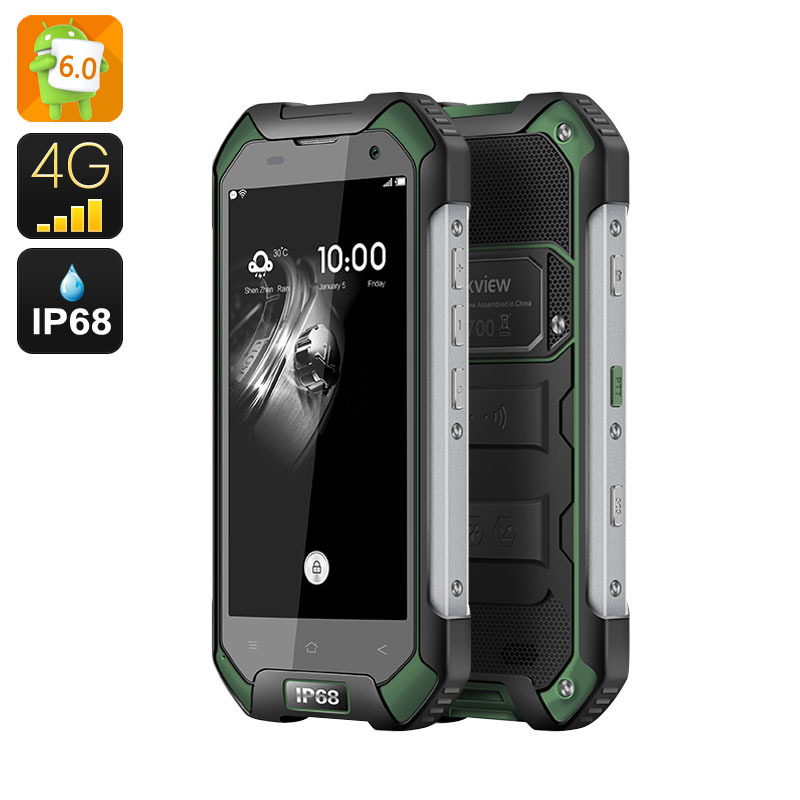 The Blackview BV6000S Rugged Smartphone comes with a 12 months warranty, brought to you by the leader in electronic devices as well as wholesale Android Phones..
Fast shipping, 2 days from Hong Kong to California, and properly wrapped, lots of protection and no problems. This is a great phone. It was very easy to set up the way I wanted it. The sound quality for phone and music is very good. I can't say enough good things about it or Chinavasion. Very well done on all counts. The touch screen is very sensitive. You won't need to punch buttons on this phone. If you're all thumbs like I am it takes a bit of getting used to. very amazing mobile works perfectly no problems once so ever i recommend this mobile to people to have im very happy, very good company fast response and fast delivery.